Watauga County Commission votes unanimously to make the Doc & Merle Watson Hwy (construction just beginning) a scenic hwy, an essentially cosmetic designation (county-designated "scenic" roads carried fewer restrictions than did state-designated "scenic" roads), but the county's designation did prohibit billboards and off-premise signs on the roadway. The push for scenic designation is coming mainly from the business community, led by John Cooper of the Mast Store. The Committee of 100, an economic development arm of county government, and prominent members of the Chamber of Commerce also support scenic designation. On the other side of the argument -- against any restrictions on advertizing and therefore opposed to scenic designation -- are business leaders Joe Miller (Boone Drug, Cheap Joe's) and Brad Moretz (Ski Mountain), among others. Attitude on Commish has shifted strongly against scenic designation, partly as reaction to Widespread Panic that "zoning" is coming to Watauga! Democratic Commissioners Sue Sweeting and Pat Wilkie become bumper-sticker targets of "No Zoners." A "scenic byway" that restricts business -- in any shape, form, or fashion -- has become anathama. Watauga County Commission votes not to seek scenic byway designation from the state for the Doc & Merle Watson Hwy. Two of three Dems on the Commish (Sue Sweeting and Pat Wilkie) vote for scenic designation; third Dem and Chair of the Commish at that time, Jimmy Hodges, votes with the two Repubs to defeat. Mr. Joe Furman apologized for an omission in information given to the Board in 2000 when the Doc and Merle Watson Highway was designated as a scenic highway. County Attorney Hedrick stated that a scenic highway is designated locally and that a scenic byway is designated by the State. The County Attorney stated that the Watauga County Board of Commissioners designated the Doc and Merle Watson Highway as a scenic highway in 2000 and that designation legally stands. Per Board instructions, six citizens were scheduled to speak for 5 minutes each; 3 in favor of the designation and 3 opposed to the designation. Mr. Brad Moretz, Ms. Lila Phillips, and Ms. Deborah Greene spoke in opposition to the scenic highway designation and requested that Board rescind the resolution from 2000 designating the Doc and Merle Watson Highway as scenic. Mr. Phil Minor, Ms. Susan Phipps, and Ms. Velma Burnley spoke in support of keeping the scenic highway designation. The Partnership for Watauga's Future, a coalition of business/environmental activists, stages a "community walk" on a section of the still unfinished Doc & Merle Watson Hwy. Hundreds show up and walk about two miles. 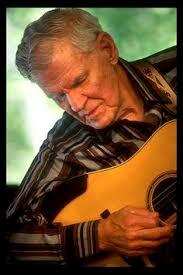 Doc Watson himself shows up with his brother. Watson also signs the petition to keep the road "scenic." Watauga County Commish reaffirms its opposition to the state about scenic byway designation. All five commissioners are voting in lock-step: Republicans James Coffey, Keith Honeycutt, David Blust, Allen Trivette, and Democrat Jimmy Hodges. But local representative on the state Board of Transportation, Caldwell County's Sam Erby, privately favors scenic designation (not a well kept secret). Despite the preferences of Co Commissioners and the vociferousness of "no zoners," led by Deborah Greene, the NC Dept. of Transportation schedules a public hearing on scenic byway designation for Aug. 20, 2003, at the Broyhill Inn. Despite opposition from Watauga Co. Commish and many citizens, the NC Bd of Transportation votes in favor of scenic byway designation. Watauga Co Commish votes 3-2 along party lines not to challenge the Watauga Bd of Adjustment's decision that the Johnny Hampton family had every right under God's blue heaven to sell a "polluting industry license" to Maymead. Jimmy Hodges, now chair of the Commish and now a registered Republican, votes with fellow Republicans David Blust and Perry Yates not to defend the scenic integrity of the Doc & Merle Watson Hwy. Democratic commissioners John Welch and Billy Kennedy vote to appeal the BOA decision. The air quality license for the planned Maymead asphalt plant on the Doc & Merle Watson Scenic Byway is on hold until Maymead fixes environmental violations at their existing plant in Boone. Welcome to your future, Doc & Merle Watson! Makes me sad to see the lengths to which some people will go to hand over this beautiful county to out-of-state companies. Interesting that Jimmy Hodges has hated the idea of a "scenic byway" for many years. He had the opportunity twice now to protect the gateway to a vital tourism sector and has twice said no. Have no idea why some leaders think that destroying the scenic beauty of the region will help the county in any way. Seems Hodges is far more intent on helping out-of-state toxic polluting industries than Watauga County residents. History often provides clarity to our present state of affairs. It is apparent Mr. Hodges has resented the Scenic Byway designation even when he was a Democrat - by name only. The historical record bears this out. Given his recent voting record and public comments as our county commissioner, it is clear he has an agenda to dismantle the Scenic Byway designation. It is a shame he is jeopardizing the safety, health and well-being of this county and its residents by promoting the financial gains of one local family and an out of state polluting company. This level of cynicism for financial gain is terrible, ruthless and must be brought to the publics' attention. Shame on all of them. Please vote them out in November.